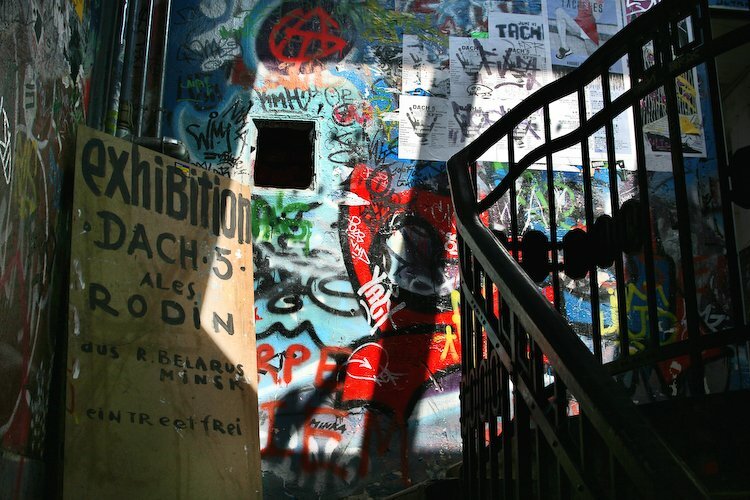 A Colorful and messed wall captured my attention at the Kunsthaus Tacheles, in Berlin. Very nice textures and colors. I love the shadows too!